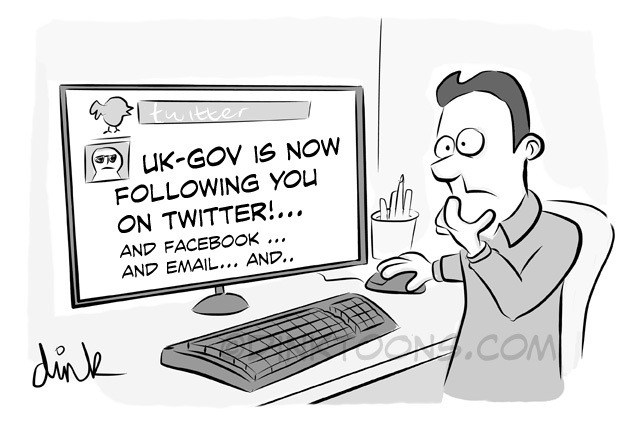 A gag this week dealing with the frightening web snooping proposals that all calls, emails, texts and website visits of everyone in the UK can be monitored by the Government. At least we’ll all get a new facebook friend or twitter follower. 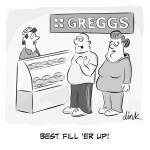 If you would like to use this for your magazine, newsletter, presentation or blog to can get it over at Cartoonstock or contact me direct. The first version of this used “GCHQ is now following you…”. 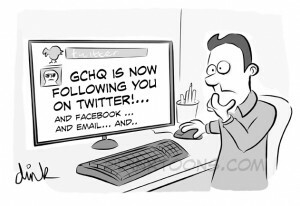 I’m not sure everyone is aware what GCHQ is, am I wrong?